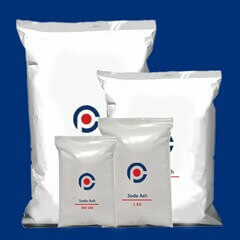 Sodium bicarbonate uses are mostly known to us as an important ingredient in baking as they make the product light, in additions to this they are also used to control pests, to remove paint, to increase pH in swimming pools, as fire extinguisher, for cleaning and as a personal hygiene product. You can buy sodium bicarbonate at online shop ibuychemikals.com, as we are Sodium bicarbonate manufacturer we maintain a good stock of Sodium bicarbonate LR & AR grades. If you are wondering where to buy Sodium bicarbonate in small quantity, just log on to ibuychemikals.com and find highly competitive Sodium bicarbonate price in India.